Charles Henry Noll, who lifted the Steelers from the depths of the National Football League and coached them to four-time Super Bowl champions by adhering to simple, long-held principles, died Friday in his home in Sewickley. Noll, who had been under a doctor’s care for an undisclosed illness, was 82. His wife, Marianne, found him unresponsive at 9:45 p.m. and called 911. Paramedics pronounced him dead 10 minutes later. In recent years, Noll suffered from severe back pain that limited his mobility and forced him to walk with two canes. RadioShack Corp. said it plans to close up to 1,100 stores in the U.S. and reported a wider quarterly loss after a disappointing holiday season. Its stock tumbled 24 percent in premarket trading today and was down 11 percent at 2.42 after opening on the New York Stock Exchange. 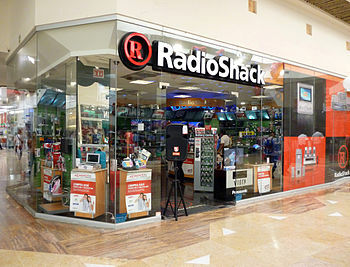 CEO Joseph Magnacca said in statement that the store closings would leave RadioShack with more than 4,000 U.S. stores, including more than 900 dealer franchise locations. The company didn’t immediately identify which stores will be closed or how many jobs would be affected. There are several stores in the Lehigh Valley, including stores within a mile of each other in Palmer Township. With a parade on Tuesday, the city will celebrate a world championship that was Baltimore to the bone — perfectly imperfect, an overachievement by an underdog and a surprise to sneering outsiders. 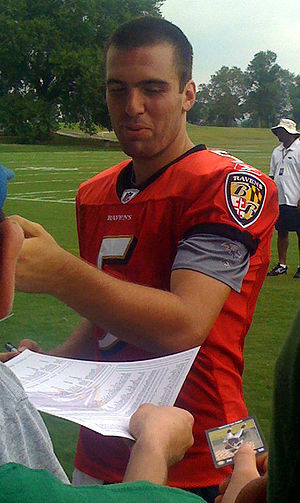 “I tell you what, we don’t make it easy,” said an uncharacteristically eloquent Joe Flacco as the Ravans quarterback held the Lombardi trophy, savored his selection as the Super Bowl’s most valuable player and, in this town, elevation to Johnny Unitas status. “But that’s the way the city of Baltimore is, that’s the way we are. We did this for them back home. Though it started out that way, there was nothing easy about the Ravens’ win in the Big Easy. Even the lights went out in the Superdome. With no team to cheer for in the Super Bowl, sometimes it really can be the commercials that are the draw. But the spots during this year’s big game didn’t leave viewers with much to discuss. Fortunately, the third-quarter blackout — and the game itself — should fill the void around workplace water coolers this morning. This year’s ads cost about $3.8 million per 30-second spot, and even with all that money it’s unlikely a commercial from last night’s Super Bowl XLVII will emerge to stand the test of time. The usual trends — animals, children, ads for big-budget movies — continued and were joined by spots that encouraged viewers to: Vote for a sequel ad online (Coke), sign up online to get a free soft drink (Pepsi Next) and visit online promo sites (many, many ads). Viewers who don’t watch TV while on the computer simultaneously surely felt left out. Although viewers may disagree on the best ad during the Super Bowl, it seems likely Americans will come together to declare the Bud Black Crown ads the worst. The ads, set in a club with supposedly hip people — “the loud, the savvy, the famous” — made it look like anyone who consumes this beer will instantly be transformed into one of these pompous, poser jerks. Who wants that? Editor’s note: Well it’s about freakin’ time!!! The fans deserve a winning season!!! PHILADELPHIA, PA — Jeffrey Lurie will have no problem separating the utmost respect he has for Andy Reid as a coach and the sympathy he has for him as a person from the business of football when the time comes. That subject was one of many covered by the majority owner of the Philadelphia Eagles on Thursday in a wide-ranging annual press conference that was postponed from its original date of August 5, when Andy Reid’s son Garrett was found dead at training camp. Reid, whose contract expires at the end of next season, will not get an extension unless Lurie sees a major improvement over last season’s 8-8, non-playoff squad. The Eagles have not won a playoff game since the 2008 season. “It goes beyond [a certain level of expected success] but there’s no question what I said was we need substantial improvement,” Lurie said. “We have a very good team I think on paper, and paper doesn’t get you that far if you don’t maximize it. I’m so excited about this season. I think everybody in the organization and the fan base is very excited but it’s a difficult league and I think you have to beat the other teams that are very good. When quarterbacks Eli Manning and Tom Brady display their pigskin prowess in Super Bowl XLVI, they’ll not be the only ones grappling with a football during Sunday’s NFL classic. Across Berks County and as far away as Connecticut and Texas, diehard fans will be devouring red meat from football-shaped links of Lebanon bologna as they watch the New York Giants and the New England Patriots do battle at Lucas Oil Stadium in Indianapolis. “They’re the centerpiece of the Super Bowl party,” says Verna Dietrich, 80, whose family operates Dietrich’s Meats & Country Store in Krumsville. American Idol phenom, Carrie Underwood has been chosen to sing the National Anthem at the Super Bowl. Don’t care about the Super Bowl since the Eagles aren’t in it but looking forward to hearing Carrie belt out the National Anthem!